Dr. Richard Brennan is the second youngest of six children and grew up in St. Louis, Missouri. After attending St. Raphael the Archangel grade school and St. Louis University High School, he went on to receive his bachelors of biology at St. Louis University. In 1986, he received his M.D. from St. Louis University Medical School. After completing his internship and residency in obstetrics and gynecology at St. Louis University Group Hospitals, he joined his two eldest brothers, Robert Jr. and James in the family OB-GYN practice that was first started by their father Robert Sr. and uncle George. 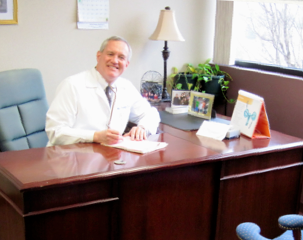 The Brennan OB/GYN Associates practice continues today, although Dr. Richard has embraced a fully pro-life practice with his recent Natural Family Planning-only approach. In October of 2009, he made the decision to practice in honor of St. Gianna, both a doctor and a mother who gave her life to save her unborn child. He has completed training as a FertilityCare Medical Consultant with Dr. Thomas Hilgers, focusing on the use of the Creighton Model, NaProTechnology, and surgical methods. He hopes to promote the sanctity of all life and the respect of a woman’s fertility and total wellbeing. Dr. Richard and his wife live with their four children in St. Louis.